That occurred to me as I read the article. 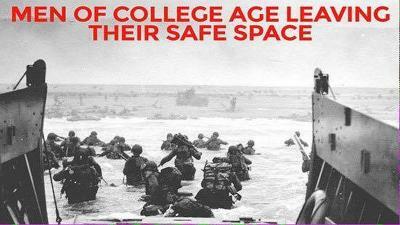 These men were the same age as the snowflakes scurrying off to a safe place at the mere mention or picture of a gun. What a difference. Sometimes I wonder if WWI and WWII had the effect of removing a big chunk of carriers of the warrior gene in Europe and the US. Then agan the P.C. feminization of society hasn't helped. The military is building a case to block transgender applicants — at least for now » « U.S ARMY'S 242nd BIRTHDAY!